Bookfair Opens Monday, Oct. 3rd! Our Annual Scholastic Bookfair opens today, Monday, October 3rd. It runs through Thursday, October 6th. Our hours of operation are Monday-Thursday 8:30-9:00 (before school). Monday – Tuesday and Thursday we are open from noon-5pm. We will not be open on Wedneday, October 5th in the afternoon. Our bookfair coincides with the Teacher-Parent-Student-led conferences. We moved the bookfair last year to the same time so families who are already on campus for their children’s conferences, could easily come to the fair! It’s a win-win for everyone! Special for adult family members is our Wednesday morning adults only shopping! Join me in the library from 9-10am on October 5th for a morning shop-a-thon. Drop the kids off in school and walk over to the library for a chance to shop without interruptions! Here’s your opportunity to get ahead on your holiday shopping without the younger ones knowing! When you purchase books at our bookfair you are directly benefiting our library. A percentage of the proceeds from every book purchase goes directly to the library. We use this money to purchase more new books for our library. Many people think that the school district gives the library a book budget, but unfortunately, that is not true. The school district does not contribute any money for library book purchases. We get a small amount from our building budget. However, the majority of our books are purchased after earning money from fundraisers such as the Scholastic Bookfair. Every penny helps buy us new books! Paying is easy at the bookfair. Cash, checks, debit and major credit cards are accepted! Scholastic provides us with a professional cash machine and debit/credit card machine so we make shopping easy and pain free! New this year is the addition of the ONLINE BOOKFAIR! Families who can’t attend the bookfair or have extended family members who might live out of town can also support our fair. 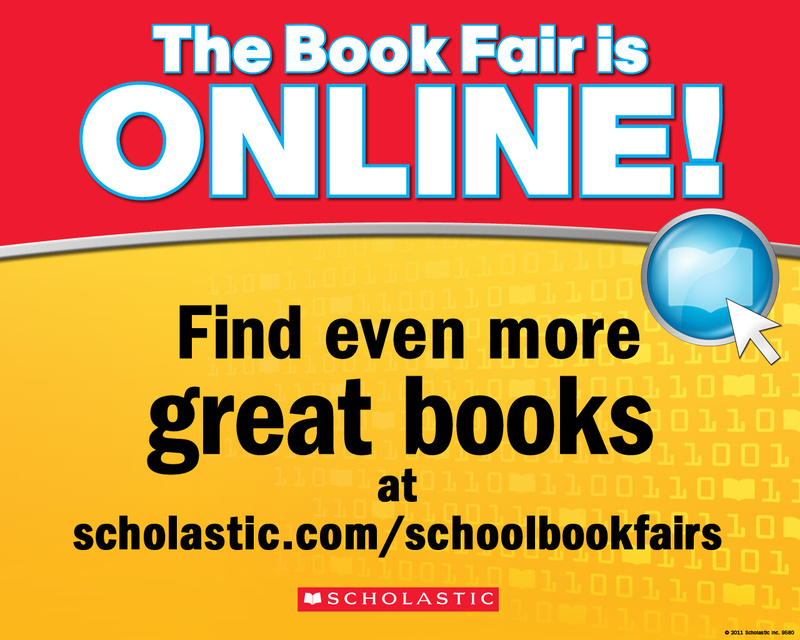 Simply visit the Scholastic Online Bookfair link, create an account and find those books! The website includes an expanded booklist from preschool through adult. Books purchased online will be sent to school, free of charge and given to your child personally by Mrs. Hembree. 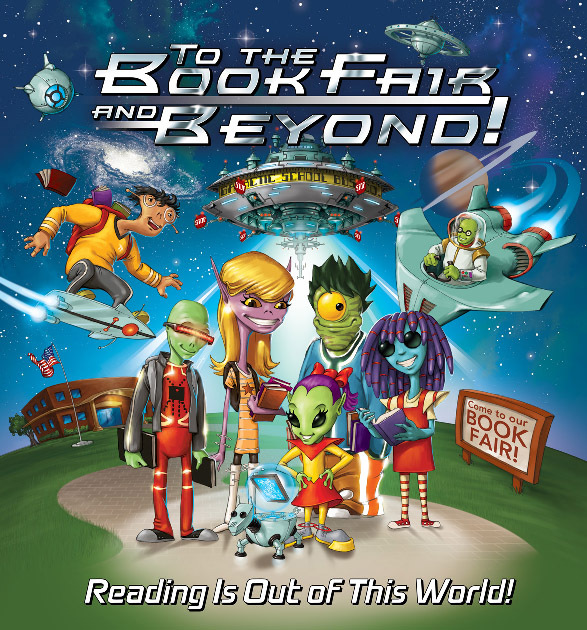 I hope you will plan to attend this year’s Bookfair this week, where Reading is Out of This World! I’m looking forward to being able to have Book Fairs again in our new library. We also use to have our Book Fair at the same time as our Parent-Teacher interviews and it worked well for everyone. Good luck…I hope you have lots of happy customers choosing wonderful books to read which will also raise money for your library…a win-win!! Dear Mrs.Hembree,Can you have a copy of the book Pokemon black and white the handbook for the library? Is there any star wars books? So how much money did the book fair get? So are you excited that it is the mouth of Halloween? If you are do you happy dance. You buddy Alex. P.s. so do i have to go the library ? What a super thing to do I like the idea of a book fair. Do you have one every year of is it just a one of thing that you do? Do you get a lot of people coming to your book fair? I was just thinking we really don’t have a book fair here down under but maybe we should. Have just just back from my school re union and it was rather nice but must admit it is nice to be back home with BB as I really did miss her. Hope you did well at your book fair.